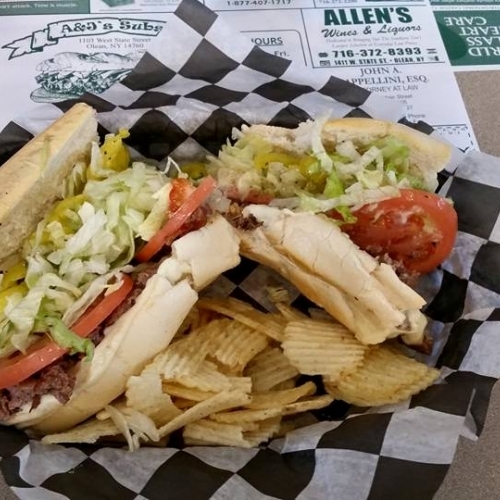 A&J's has been serving Olean since 1974. It is best known for its homemade rolls, which are baked on-site daily. Offering a whole line of specialty subs, over 20 different fresh salads, pizza, finger foods, and more.